How do you get 620 potentially unique guitar tones from 4 single-coil pickups, or 310 from 3 humbuckers? Abstract: Many of the U.S. patents involving switching circuits for electric guitar pickups have failed in the marketplace because they do not show the topologies generated by switching configuration, and thus fail to eliminate duplicate circuits and circuits with null outputs. 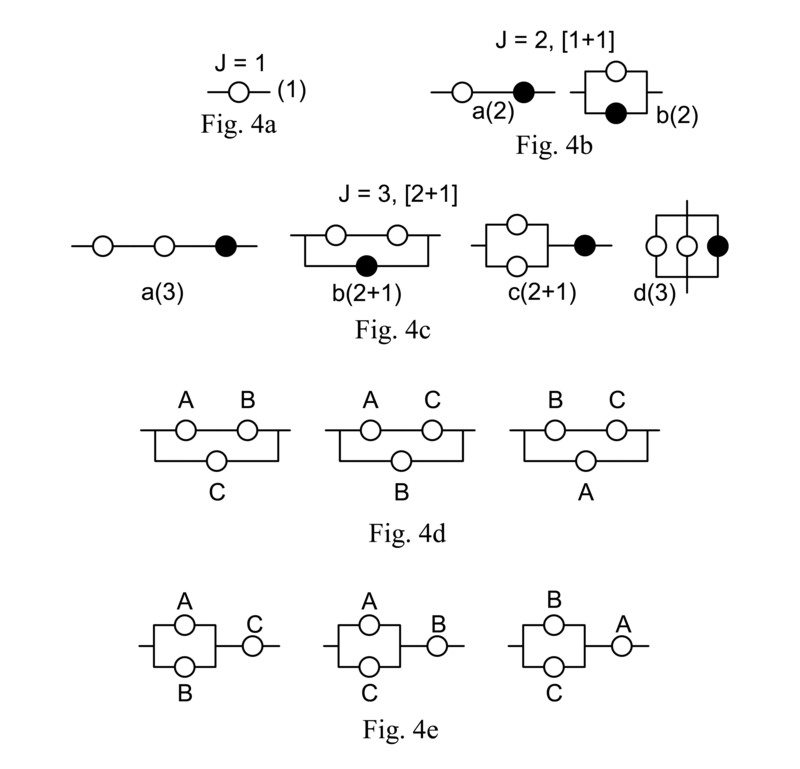 Series-parallel circuit topologies of any complexity, with potentially unique tones, can be generated from small to complex by simple rules, as can the number of ways to switch pickups around in a particular topology, and to reverse individual pickup connections to change the phase of their contribution to the output. But the audio separation of “potentially unique” tones have to be verified by spectral measurements. This affects both single-coil and dual-coil humbucking electromagnetic string vibrations pickups, as well as other types of sensors. This entry was posted in Patent news, Pickup circuits & switching, Tutorial and tagged circuit topologies, patents, pickup circuits. Bookmark the permalink.